Yet over six years and 22, 000 views ago, I shared my first “How to Tie a Scarf” video and I can NOT stop laughing as I watched it for the first time since then. It’s the most pathetic, yet heartfelt and incredibly sincere video ever. I just love the old days of blogging before pinterest when no one knew what they were doing; any person could throw up a really dark, fuzzy an unedited video and it could be well received. I just wanted to help all the struggling fashionista out there and learning how to tie a scarf was and is still one of the easiest ways to update a look for pennies on the dollar. I can’t tell you the hundreds of people who have shared with me over the years that they learned to tie a scarf because of me. That thrills me to no end, and yet when I went to update the video, I remembered this unbelievable resource. I decided not to re-invent the wheel when Wendy’s Lookbooks has done the most superb job already. (I may in the future and talk some of who want verbal directionsMany of you may have already seen it, but it’s worth studying and experimenting a few more times. Some of you don’t want to watch videos (although this one is VERY worth it), so I included this great graphic with simple ways to style the blanket scarves that are very popular this winter. It gets those creatives juices flowing and allows you to think outside the box a bit since I never just wear scarves around my neck anymore. My one caveat to the above picture is to know your skin tone (I go into detail in an older post here). It’s so important to understand the best colors to have close to you face and since my skin tone falls into the “cool – summer” category, I would not attempt to pull off a tan scarf. People always ask me where I get most of my scarves and I always first search Cents of Style’s sales and clearance scarfs for the best deals. They have a great assortment and often have wonderful discounts. 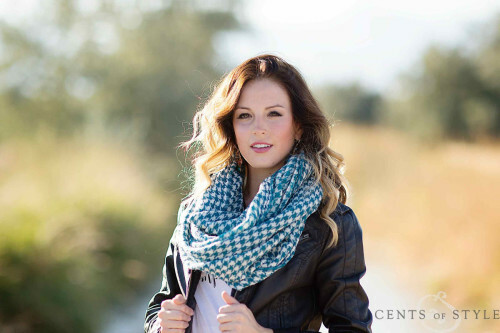 So now that I am reenergized and excited again about my own scarves, go grab yours and join me. Last night, I paired a flannel shirt with a completely different patterned scarf and I received many compliments on it. This season, patterns do not have to match. 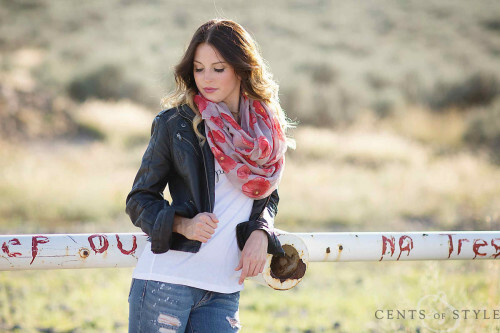 In fact, fashion trends this year are anti match-matchy, so anything goes when it comes to your scarves. 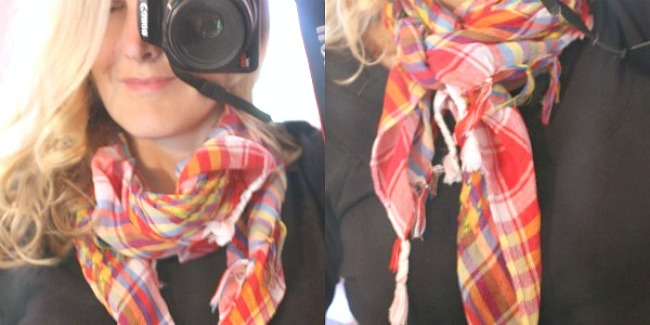 Have fun and enjoy these 24 ways to tie a scarf. I can’t wait to hear which new one you will try. I LOVE wearing scarves (except when it’s 90 degrees in the summer) and I regularly use the European Loop, the Magic and the Twist ones she does! Finally someone who knows how to shop. I get sick of these “inexpensive” outfits that cost $100 plus!